The Biology Education Research Group (BERG) at University of Washington (UW) is an example of a local community of practice (COP); see http://uw-berg.wikifoundry.com. “Communities of practice are formed by people who engage in a process of collective learning in a shared domain … groups of people who share a concern or a passion for something they do and learn how to do it better as they interact regularly” (Wenger, 2006). 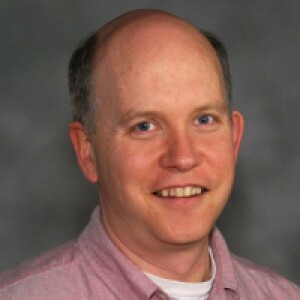 In 2009, BERG grew out of a desire to establish a regular conversation for faculty and others interested in biology education and provide opportunities for discussing the DBER (Discipline Based Education Research), SOTL (Scholarship of Teaching & Learning) and cognitive science literature, as well as sharing expertise and problem solving. We encourage the formation of other, similar local and regional COPs to promote, encourage and sustain research on biology teaching and learning and implementation of evidence-based teaching and learning. BERG was founded by faculty at the UW and has expanded to include participation of postdocs and graduate students and other regional university and college faculty. BERG meetings are held weekly during the academic year. Importantly, BERG encourages participation of undergraduates, graduate students and post-doctoral fellows and these members have now become an integral and essential part of the group. BERG goals include the creation of new methods for teaching Biology, production of research based teaching methods, development of testable hypotheses concerning student learning in Biology, creation of guidelines for conducting rigorous biology education research, providing a forum for discussion of effective teaching methods and fostering a diverse network to facilitate research collaborations. Please share information about and links to other local and regional groups in this blog discussion. Share your questions about creating a local community of practice. Use a “collaborative bottom-up approach” Kajiura (2014). Practice “diffuse authority” Kajiura (2014) but there needs to be one person who can send weekly reminders and encourage different members to lead weekly discussions. Create and maintain “community spaces” Kajiura (2014). Use a web-site to house papers, calendar, participants, COP description and other information & resources. Have a list-serve so participants can easily email each other. Post meetings times, locations and topics (and/or presenters) at the beginning of the term/semester. Don’t rely on a single individual to organize, present or provide expertise. Don’t compete with departmental seminars and critical meetings. Don’t intimidate: disagree without being disagreeable and be patient with DBER & SOTL novices (sometimes these are the senior faculty and sometimes they are students). Don’t be exclusive in your participants or your readings. If you set up a COP for faculty and postdocs don’t exclude graduate students or undergraduate researchers from this group. A biology education journal club should be open to literature from cognitive science, physics education and other relevant disciplines. Mary Pat Wenderoth is a Principal Lecturer in the Biology Department at the University of Washington (UW) where she teaches animal physiology courses and conducts biology education research on how students learn biology. 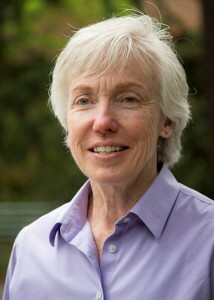 She received the UW Distinguished Teaching Award in 2001and has served as the co-director of the UW Teaching Academy. 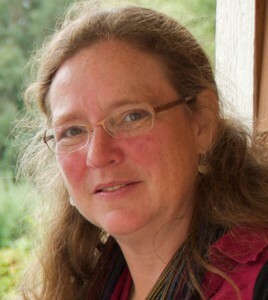 She is a co-founder of the UW Biology Education Research Group (UW BERG) and the national Society for the Advancement of Biology Education Research (SABER). 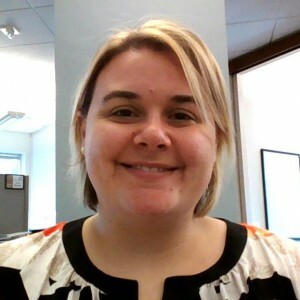 She has served as a facilitator at the HHMI Summer Institute for Undergraduate Biology Education since 2007 and co-led the Northwest Regional Summer Institutes from 2011 to 2013. Mary Pat earned her B.S. in Biology from the Catholic University of America in Washington D.C., a M.S. in Women’s Studies from George Washington University, a M.S. in Exercise Physiology from Purdue University and her Ph.D. in Physiology from Rush University in Chicago. Jenny L. McFarland is tenured faculty and former department chair in the Biology Department at the Edmonds Community College (EdCC) where she teaches human anatomy & physiology and introductory biology courses and conducts biology education research on student learning or core concepts in physiology. She received the EdCC Echelbarger-Sherman Exceptional Faculty Award in 2013. She is a PULSE (Partnership for Undergraduate Life Science Education) Leadership Fellow (selected 2012). As a PULSE fellow and a steering committee member on several NSF-funded projects, she advocates for excellence in undergraduate physiology, biology and STEM education at 2-year and 4-year institutions. She has served as a facilitator for the NW PULSE workshops to transform life science departments in the Pacific Northwest. Jenny earned her B.S. in Aeronautics & Astronautics Engineering from the Massachusetts Institute of Technology and her Ph.D. in Physiology & Biophysics and Physiological Psychology from the University of Washington in Seattle. Interesting to read about BERG, and thanks for including a reference to oCUBE (Ontario Consortium of Biology Educators). oCUBE recently celebrated its fifth anniversary (yes we had cake!). We have more than 70 members who teach at over fifteen universities and colleges spread over a wide geographical area. oCUBE members meet face-to-face twice yearly to discuss teaching strategies and research in education using a unique unconference approach. A wiki, newsletters and on-line conferencing keep us connected and are used for a monthly journal club. Please visit our website (http://ocube.wikispot.org/) to learn more about oCUBE and to read proceedings from previous oCUBE unconferences (these contain lots of teaching tips and best practices!). Thanks Mary Pat and Jenny for sharing your experiences. We also have cultivated a science education community of practice at the University of Oregon (UO) that follows many of your recommendations. In 2010 the UO Science Literacy Program (SLP, scilit.uoregon.edu), funded in part by HHMI, and UO Teaching Effectiveness Program (TEP, tep.uoregon.edu) teamed up to offer a science education journal club for participants interested in implementing active learning. SLP focuses on improving general education courses in the sciences by adopting evidence-based, student-centered teaching and providing mentored teaching opportunities for graduate and undergraduate students. TEP is the campus professional development center for faculty and graduate students interested in implementing best teaching practices. Our journal club is currently organized and facilitated by the associate director of the SLP and a faculty consultant from TEP. The journal club began with a grassroots effort by science faculty and graduate students to support and encourage more effective teaching. From the beginning, we have offered two sections to accommodate a diversity of schedules. While each meeting is anchored with a reading (our extended bibliography may be found at http://scilit.uoregon.edu/journal-club/bibliography/bibliography-by-topic/), we include small-scale teaching experiments, try out a diversity of pedagogical approaches together, and support exploration of theory. The community of practice also provides for future faculty and science communicators a training ground in pedagogical theory and practice. All this happens within an interdisciplinary, cross-rank community; the participant mix includes undergraduate students, graduate students, post-docs, librarians, and faculty from a wide variety of disciplines. What started as a handful of individuals wanting to improve their teaching has developed into a supportive education community with 20-30 people attending each week (many of whom have been coming faithfully for several years) and over 350 people on our mailing list. The journal club is the one place where many of our participants have the space and time to discuss teaching innovations and challenges with colleagues. We have a community who now have a common language about science education and are challenging themselves to try new techniques to support student learning. Great suggestions on what to do (and what not to do) when creating a local COP. Any thoughts for someone who is at the very beginning stages? Maybe they don’t yet have a local community or a cadre of colleagues. Not even sure there are other like-minded individuals in their area. Suggestions on how to begin? How might they send out feelers and get the ball rolling?